made for knitting dollhouse miniatures and Appleton's yarns. 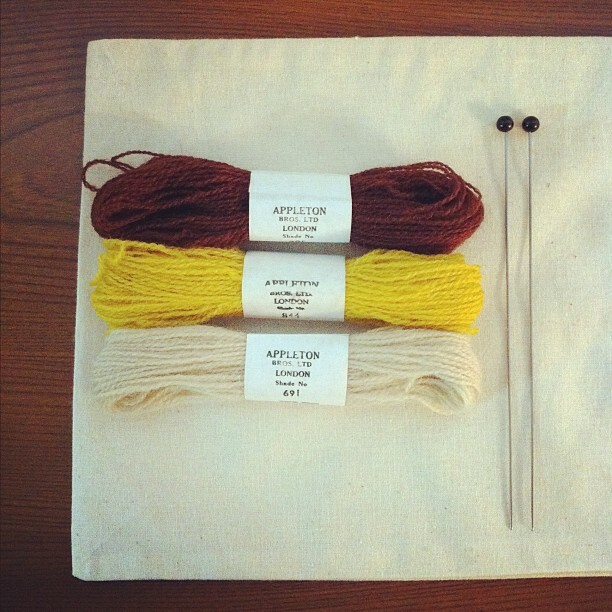 the color is vary from size of knitting needles. It looks like a marking pin,isn't it? I love Appleton's yarns very much. There are many beautiful colors and difficult to choose. I am going to show you tiny mittens here if I could knit. at our shop"deux billets"in near future.